In June of 2016, the FAA officially published commercial drone rules allowing the use of drones for business. Part 107 certification, as it’s most commonly known today, allowed remote pilots to fly small drones under 55 pounds for commercial purposes with some specific restrictions. 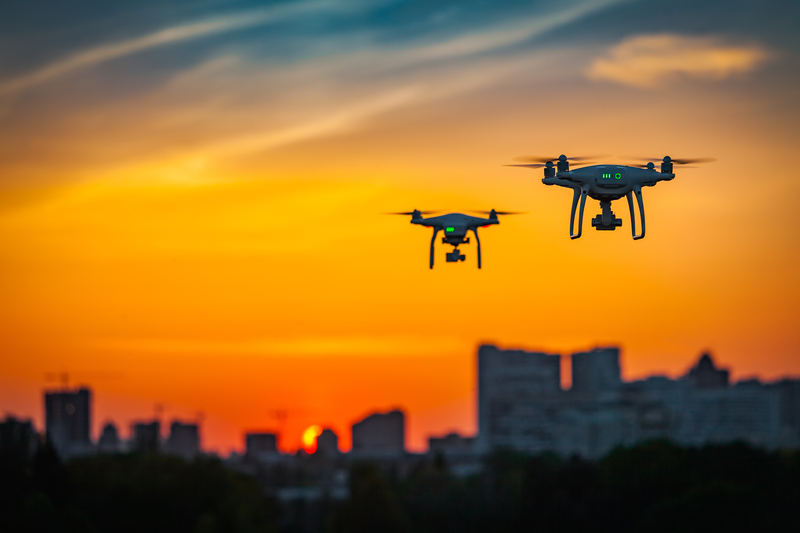 Almost three years later, the FAA and the DOT are gearing up to build on the framework set by Part 107 and expand permissions to allow drone flights at night and over people without a waiver or exemption, under certain circumstances. Prior to this announcement, operators intending to fly missions at night and over crowds had to secure a special waiver or exemption from the FAA. While efficient and reasonable, this waiver process would sometimes prohibit drone operators from operating at the speed of their business — given that this waiver approval process could span days to weeks. In line with its risk-based approach to further integrate drones into the national airspace system in a safe and scalable manner, the FAA is loosening restrictions to give the commercial drone industry more room to innovate, scale and expand to more verticals. Permission to operate at night is the most common type of waiver requested from the FAA. According to the agency, they received almost 5,000 night operation waivers through December 2017. Out of the 1,233 approved night operation waivers, the agency has not recorded any incidents. In evaluating these waivers, the FAA learned that the most critical factors to ensuring safety during night operations are operator knowledge and the presence of anti-collision lighting. That the UAV be equipped with an anti-collision light that is illuminated throughout the duration of the night flight, and which is visible from at least 3 “statute miles” or 15,840 feet. (A “statute mile” is what most lay people refer to when they simply say “mile,” as distinguished from a “nautical mile” which is 6,076 feet, but which is often used as a unit of measure in aviation). It’s important to note, however, that the FAA continues to interpret 14 C.F.R. § 107.31(a)’s Line of Sight requirements to potentially require a pilot to restrict the operational area of a night flight (for example, to an area with artificial lighting), and/or use an additional system (such as position lighting) to ensure that the pilot can comply with that section’s provisions. What use cases necessitate night flights? 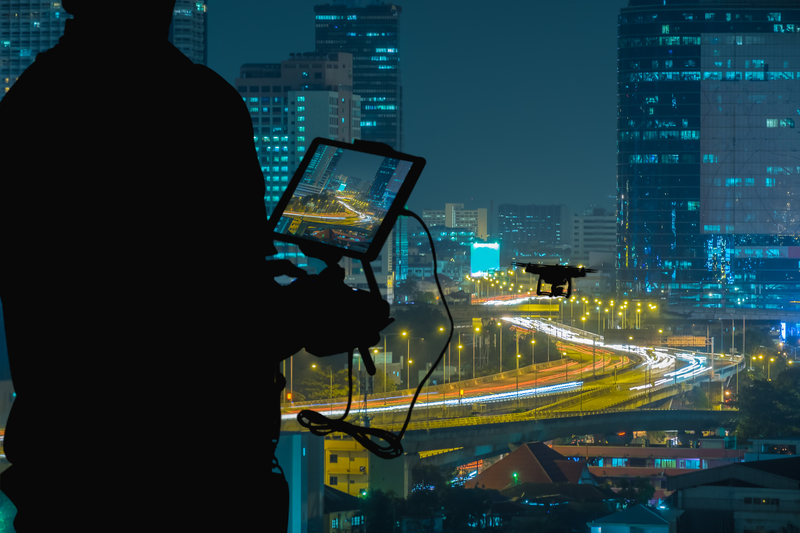 In most cases, enabling night operations provides a blanket opportunity across the entire spectrum of drone applications. Empowering drone pilots to have the option to extend their mission window allows essential flexibility. Due to the inherently dynamic nature of drone missions, remote pilots will soon not have to worry about carrying out their missions in a tight timeframe if and when unforeseen bottlenecks occur, such as extreme weather and the need to collect more drone data. In addition, pilots using drones for aerial photography and entertainment will benefit greatly from the non-waivered night operations. Think: long exposure shots of skylines and cityscapes after sunset; and stunning drone light shows. To understand this proposed amendment, we first have to define what the FAA considers “flight over people.” According to the NPRM, operation over people is one in which a small unmanned aircraft passes over any part of any person who is not directly participating in the operation (which the FAA considers to mean the pilot in command, and anyone that pilot is relying on for the safe conduct of the operation) and who is not located under a covered structure or inside a stationary vehicle. Currently, if a pilot wants to conduct a flight over people, the pilot must obtain a waiver or exemption from the FAA. Category 1: Drones weighing less than 0.55 pounds are allowed to fly over people with no restrictions beyond compliance with the FAA’s existing rules (e.g., flying within visual line of sight, etc.). The obligation to ensure that the drone weighs less than 0.55 pounds would rest with the operator of the drone, and it’s important to note that any cargo attached to the drone during the flight is counted as part of the 0.55 pounds requirement. For operators seeking to fly drones weighing more than 0.55 pounds over people, the FAA has created two additional Categories of permissible flights, which combine design and performance-based requirements. Finally, the FAA requires the aircraft to be free of any FAA-identified safety defects. The FAA has explained that a Category 2 safety defect would be any material, component, or feature that presents more than a low probability of causing a “serious injury” when operating over people. A “serious injury” means a level 3 injury on the Abbreviated Injury Scale (AIS). 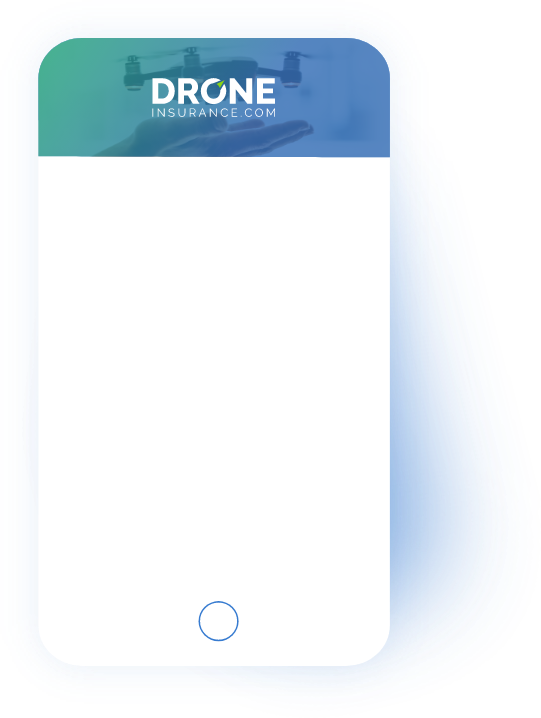 Manufacturers will primarily be responsible for demonstrating compliance with these requirements to the FAA, though any operator that makes modifications to their drone will likewise have to obtain the FAA’s approval that the drone, as modified, still meets these design specifications. Finally, operators conducting flights under Category 2 or 3 will be responsible for ensuring that their drone is marked with a label identifying it as either Category 2 or 3 (or both). Also, for drones with settings that allow them to operate under either Category 2 or 3, pilots are responsible for ensuring that the settings for the appropriate category are selected and employed for that flight. It’s worth noting these night operations and flights over people are still proposals and, if approved, won’t take effect until at least a year from now. The FAA has made it clear that the proposal won’t become an official regulation until the remote identification rule is finalized. What is Remote ID? In theory, remote identification of commercial drones revolves around the concept of allowing concerned parties and organizations to remotely check a drone’s location, purpose of flight, and pilot information. Remote ID is a critical component in the process of implementing a UTM (UAS Traffic Management) architecture. Currently, industry stakeholders are exploring UTM infrastructures that would set the standard for enabling safe, and efficient low-altitude operations. UTM systems aim to mirror the concepts and rules that regulate vehicles on the road, and will serve as a key enabler for commercial drone applications — anywhere from precision agriculture, search and rescue, to drone deliveries.  It’s clear than an established UTM system is paramount in scaling the drone industry, and remote ID is shaping up to be a key component of it. 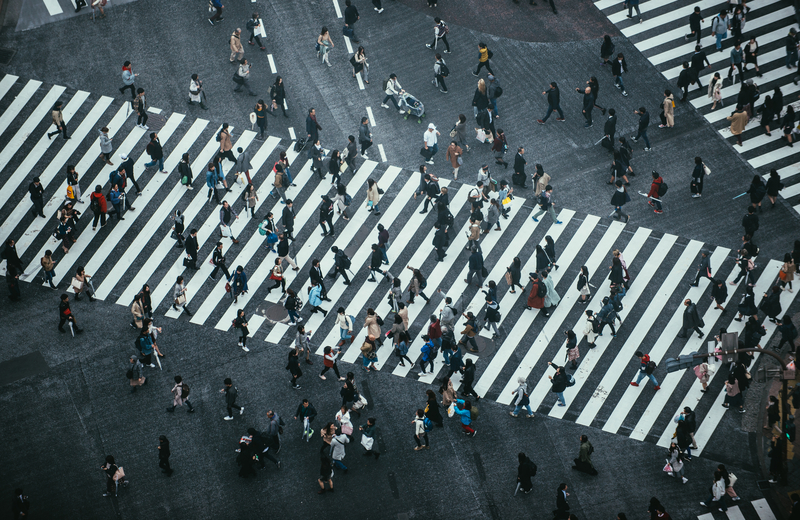 Industry leaders like AirMap, Wing and Kittyhawk have already successfully demonstrated the viability of remote ID using an open-source InterUSS platform back in December. Building on its risk-based approach to safely integrate drones into the national airspace, it makes a lot of sense for the FAA to make expanded drone operations contingent upon a robust identification system that would address major safety and security concerns while still empowering the commercial drone industry with greater operational capabilities. With the awareness that these expanded operations are perceived to bring more risk, DroneInsurance.com coverages have always supported FAA-approved night flights and flights over people, so drone businesses can fly with confidence knowing their assets, business and the public are protected. From a data perspective, our data scientists see this as an indispensable opportunity to obtain more operational data to better understand the emerging risks from drone use, and using this deeper understanding to inform a more strategic approach on creating solutions that protect against these risks. As with any case involving commercial drone operations, it’s always essential to always know before you fly. To dig deeper into the proposed amendments to the drone rules, check out the FAA’s full proposal here. 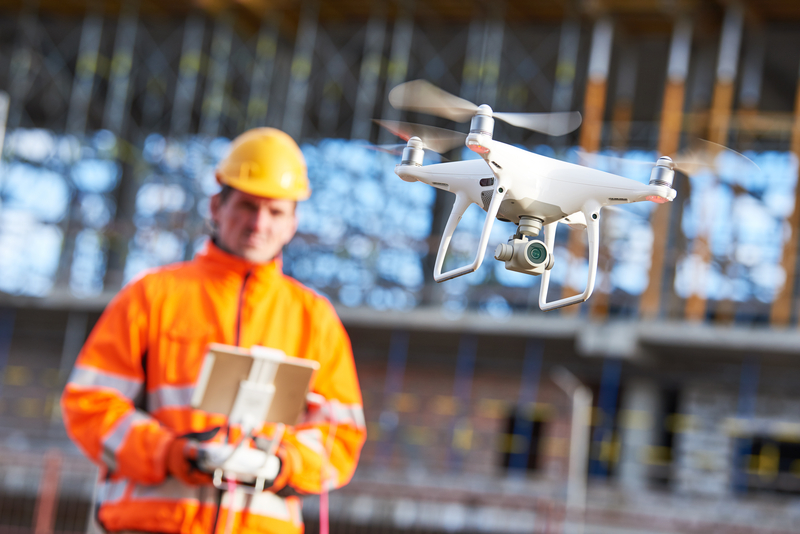 To begin protecting your business and operations, visit DroneInsurance.com to learn about our dynamic coverage solutions or reach out to us at info@droneinsurance.com.